This concordance for the Bhagavad-Gita includes cross-referencing, definitions of Sanskrit terms, and an index of all analogies. An invaluable aid. Reprinted with a new full-color cover. Published and available separately as a softcover option, or a deluxe hardcover edition, with gold gilded pages and bookmark ribbon. The Bhagavad-Gita presents a timeless formula for rising above the mundane problems of life to enjoy eternal freedom and fulfilment in higher states of consciousness; it brings to light a complete science of life and art of living relevant to every generation, based upon the simple yet profound experience of the inner Self—the infinite, eternal reservoir of creativity and intelligence that lies within us all. In recent centuries, when the key to effortless experience of this inner reality became lost to view, Lord K?ish?a’s beautiful descriptions of higher consciousness were mistakenly thought to be behavioral prescriptions and arduous practices, intended to eventually bring one to the inner Self—and in the distant future to a more exalted, enlightened state. With the loss of direct experience, the Gita became the centerpiece of speculative philosophies, seemingly without practical value nor hope for the fulfilment of its promises. 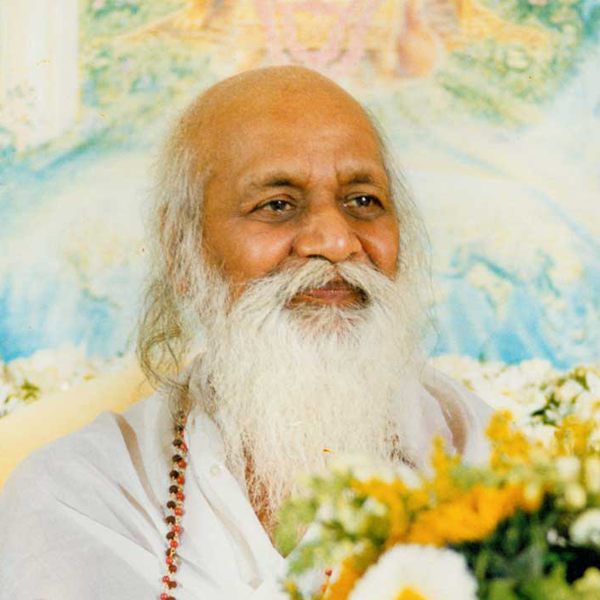 Maharishi’s commentary, however, written on the banks of the Ganges river more than 50 years ago, breathes life into the Gita’s timeless expressions, proclaiming that the teaching of Lord K?ish?a on the battlefield of Kurukshetra begins with the experience of the inner Self—readily available through the effortless technique of Transcendental Meditation—and continues by predicting the awakening of the total potential of human life within a short time. 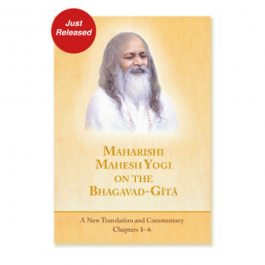 Also available: Maharishi Mahesh Yogi on the Bhagavad-Gita - Translation and Commentary with Sanskrit Text. Softcover, 87 pages, Published in 1997. 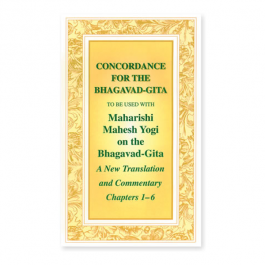 Concordance for Maharishi Mahesh Yogi's translation and commentary on the Bhagavad-Gita.